Now that you’ve introduced an apple a day into your diet, you’ve probably become very familiar with the fruit. 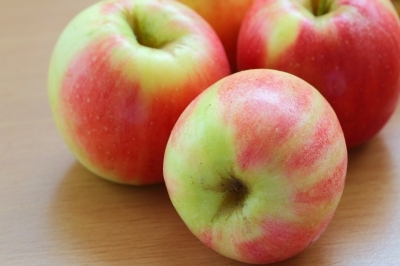 From Gala to Fuji to Granny Smith, there are many varieties for you to munch on. Like so many other foods, it’s important to know at least the basics about what you are ingesting. Apples, and the apple slices from Dippin’ Stix, not only come packed with nutrients, but also with a rich history. Read on to learn more! The crabapple tree is actually the only species of apple that is native to North America. The apple originated in the Black Sea region of the world. When the pilgrims arrived in America, they brought over the traditional apple that we consume. In the colonial U.S., the apple was originally called winter banana or melt-in-the-mouth. They are just as delicious to modern Americans today as they were to our founders! Of the 7,500 varieties of apples, 2,500 are grown in the United States. Each of the 50 states grows apples, with Washington, New York, Michigan, Pennsylvania, California, and Virginia topping the list of producers. It’s estimated that 1 in 4 of apples grown domestically are exported to other parts of the world. The only country to beat us in commercial apple production is the People’s Republic of China. The ‘Red Delicious’ is the most widely grown variety, with over 62 million bushels harvested in 2005. In 1904, National Apple Week became a celebrated national event. In 1996, the week was expanded to National Apple Month, claiming October as the time to admire this awesome fruit. Currently, National Apple Month covers a period spanning from September through November, when apples, at the peak of ripeness and perfection, are harvested across the country. The apple has gained fame as the state fruit of Illinois, Minnesota, New York, Vermont, Washington, and West Virginia. In Michigan, the apple blossom lays claim of the state flower. How has the apple gained so much fame and recognition when there are so many other fruits out there? That’s easy. Apples are available so readily (at least in America) and grown so widespread that it makes absolute sense to make them a staple in diets across the country. With a medium apple coming in at 130 calories, it’s a smart snack or side dish to compliment any meal. Add in the fiber and nutritional content of the skin and you can’t beat it! Dippin’ Stix has taken advantage of the nutritional benefits and abundance of apples and made it even easier to add more of them to your diet. Paired with a delicious premium dip, our apple slices make a satisfying snack anytime of the day. Check out our Store Locator to find the nearest Dippin’ Stix retailer near you! Apple facts courtesy of the University of Illinois and Minnetonka Orchards. Image courtesy of tuelekza at FreeDigitalPhotos.net.